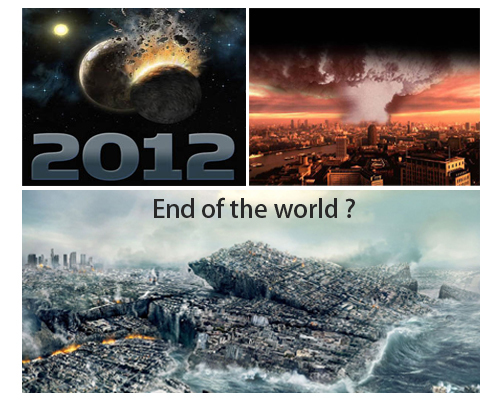 2012 End of the World: Is This Prediction Based on Correct Analysis? People like to predict what will happen in future especially in 2012. Nostradamus brought about massive destruction and mayhem thought there was comet in 2012. Even Mayans stopped their calendar on December 21st, 2012. If it’s true, human only has less than a week to live. But do you really convinced by this dire prediction? Is this prediction based on correct analysis? Some people who believe that because they are depressed at some bad phenomenon such war, natural disaster, resource exhaustion, economic recession, stock price falling etc. It’s true that data from kinds of damages and crisis showed a dark future and people has reason to doubt. But it’s obviously groundless by drawing such conclusion only based on those raw data. The further computing and analysis is needed to make right allegation. According to experts in Latin American culture who have studied the Mayan population and their calendar, the belief about end of the world is just plain wrong. Believe it or not, it’s not hard for you to verify their results with an efficient desktop BI software. Actually, desktop BI tools are always defined as the best practices to optimize benefits and reduce loss. According to some surveys, data computing and analytics is a top priority for researchers and executives, but fact is that few of users actually use data processing tools proactively. The reason might be that those tools don’t deliver efficiency to them. With traditional data processing tools like SQL, it’s difficult for experts and scientists as well as decision makers who don’t have strong IT background to conduct self-service BI. But the new generation desktop BI software can realize this easily. You may have already seen a lot of trends about desktop BI software in next year. The most mentioned trends like big data, data visualization, speed, agility, self-service BI, etc. have been embraced by many analysts. These trends reflect users’ desire for time-efficient and cost-saving desktop BI tools. Some emerging tools show their powerful capability in these aspects and Raqsoft is one of them. 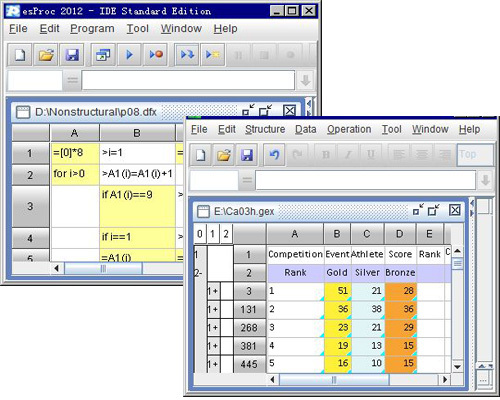 Desktop BI software of Raqsoft including esProc and esCalc are very ease-of-use without modeling requirement. With step by step computing mode, complex problems become easier and more visual. Whether the world ends on December 21st or someday in future or not, don’t jump to conclusion before analyzing. Although we are not sure if correct prediction could prevent the end of the world. But what we can sure is that data computing and analytics can help people to get useful information and thus make smart decision to mitigate or avoid potential risks and damages. If precautions taken before bad things really happen, the end of the world won’t come soon at least.